Many people think personal branding is only for celebs, yet each and every one of us has, and is, a brand. Personal branding, by definition, is the process by which we market ourselves to others. We do it each and every day through what we say, how we act, and yes, by what we wear. 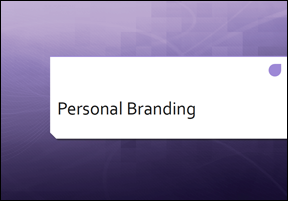 The term personal branding is relatively new. However, the phenomenon of people “instant labeling” based on reputation is as old a human character itself. Personal branding makes who you are, what you do, and why you do it more clear to those around you, and THAT brings new opportunities your way. Remember, when building a personal brand, it’s important to focus on who you are and communicating that message, not making something up and pretending to be someone you’re not. People reinvent themselves all the time—to take on a new challenge, shift into more meaningful work, or rebut perceptions that have hindered their career progress. Interested in learning more about personal branding? 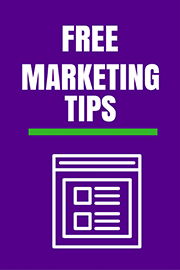 Download this free slide deck for several tips on how to get started. What questions do you have about personal branding?